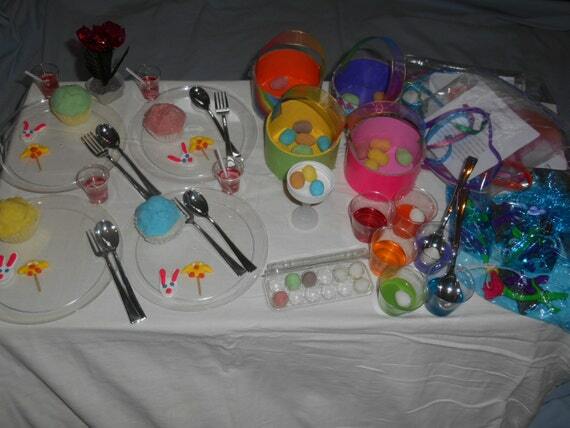 Easter party kit for dolls. I opened a Etsy shop this week and I made an easter party kit for 4 dolls. I am going to sell more but this is all I have now. I have only one so if you want it buy it NOW! Thanks, I spent a week working on it.